The german-turkish mezzo-soprano Denise Seyhan was born in Hückeswagen, Germany. In 2004, she graduated in classical vocal studies at Musikhochschule Karlsruhe, but continued with private studies by Gabriele Kniesel (Musikhochschule Freiburg) afterwards. Since 2009, her voice teachers are baritone Walter Donati (member of Badische Staatstheater Karlsruhe for many years) and his wife, the italian soprano Anna Rita Esposito. Further important musical impulses she received in masterclasses by Kleesie Kelly, Ingeborg Most, and Anna Reynolds. Denise Seyhan finished her degree as a soprano, but changed to mezzo-soprano in 2006. Beforehand, she made her first steps on the opera stage in the roles of »Pamina« and »First Lady« as an ensemble member of the »Junge Kammeroper Köln« for two years. Since 2008, she began to sing smaller roles as a mezzo-soprano in various productions. But finally in 2013, Denise Seyhan was invited to sing the female main part in the world premiere of the opera »Konrad oder Das Kind aus der Konservenbüchse« by Gisbert Näther at the Musiktheater Gelsenkirchen. After that successful production she was again engaged in spring 2014 by the theatre in Gelsenkirchen to sing the first recording of Georg Pelecis’ composition »In Honour of Henry Purcell« for chamber orchestra and three counter-tenors. During May 2014, she sung the roles of »Sorceress« and »Second Witch« of »Dido and Aeneas« by Henry Purcell in an operatic concert in Kaiserslautern. 2015, she performed »3rd wood sprite« of Dvorak’s opera »Rusalka« at the Stadttheater Pforzheim. During 2016, she was acting as »Birsen Güner« in »Gegen die Wand«, an opera composed by Ludger Vollmer in 2008, at the Stadttheater Gießen. In Summer 2017 she has made her debut as »Ulrica« in »Un ballo in maschera« from Verdi in the Summer-Production of »Kammeroper Frankfurt«. In the dramatic Fach she made more experiences in singing »Amneris« and »Fricka« (»Walkyrie«) in Munich in 2018. At the Stadttheater Heidelberg she is performing the role of »Dora K.« in »Benjamin« by Peter Ruzicka, conducted by Elias Grandy in 2019 (Worldpremiere at Hamburg State Opera in June 2018). Denise Seyhan is semi-finalist in the section Wagner-Voices of the singing competition “NuovoCanto” in Milano in 2018. Apart from her opera career she appears at concerts venues in Germany and abroad. During summer 2012 for Example, she was singing the alto-part of the »Symphony No. 9« by Beethoven at the Reims Cathedral/France at the festival »Les Flaneries Musicales de Reims«. 2010, she went on tour with the »Westsächsische Symphonieorchester« in Mexiko. Works like »Messiah« by Händel, »Stabat Mater« by Pergolesi and by Dvořák, or »Paulus« by Mendelssohn-Bartholdy let grew up her repertoire in the last years. Her first Recording with »Liebesliedern« and »Neuen Liebesliedern« von Brahms will be released at Naxos in April 2019. 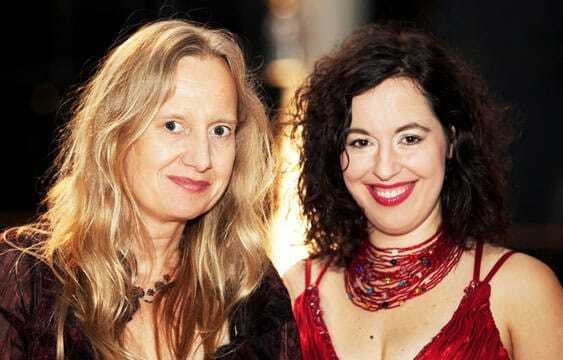 Together with her pianist partner Heike Bleckmann she performs various Lied recitals and concerts, which are moderated by Bleckmann and inspired by specific themes, and personalities. Together with the pianist Heike Bleckmann, Denise Seyhan sings diverse recitals. In 2011, the two musicians met each other on a benefice gala, and decided to work together as duo partners afterwards. Heike Bleckmann was born in Wesel, and studied at the Hochschule für Musik in Karlsruhe. After she has finished her studies with a diploma in major piano, she continued her musical education in the U.S.A. with Menahem Pressler, which was funded by a scholarship of the Adamant Music School. She attended numerous masterclasses by Edith Picht-Axenfeld, Vlado Perlemuter, Helena Costa, and Bernard Roberts. The pianist performs a wide range of concert activities, both as a soloist, and also as a chamber musician with several ensembles, e.g. the „12 pianists“. But most of all, she marvellously accompanies Lied recitals. Her activities concentrate on organizing and performing thematic concerts with lectured recitals, and concerts. As a soloist and a duo partner of Denise Seyhan, she ascertains, thereby, a connection between literature, history, and music. One of her main interests are the life and works of female composers.